Southland sprinter Eddie Dawkins has earned the award as leading sprinter after the completion of the UCI Track World Cup circuit for 2013-2014. Dawkins gained two fourth placings and a 10th placing to top the competitive group of male sprinters after the three-round World Cup, with the final event finishing in Mexico yesterday. 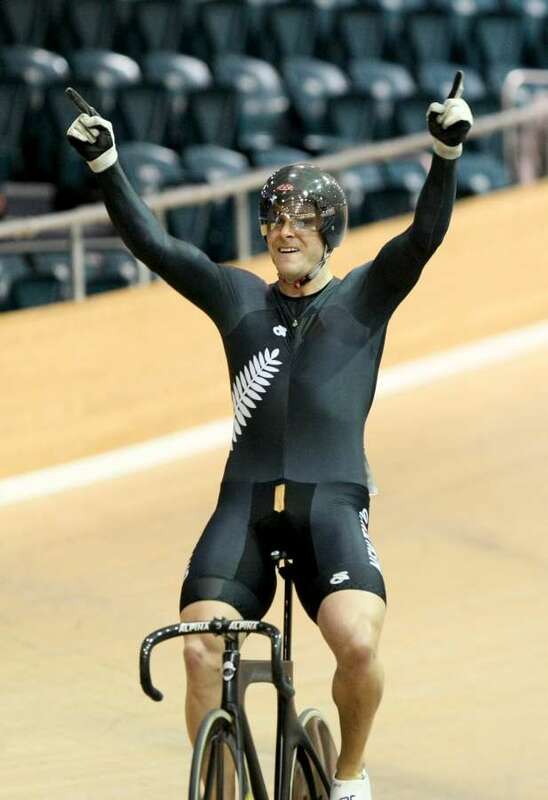 It marked an excellent summer for Dawkins, who emerged as the country’s fastest rider after topping qualifiers at the UCI Tier One qualifying event at Invercargill followed by a national record of 9.907 at the Oceania Championship. “Eddie has been the form rider this summer and also showed real consistency at the top level,” BikeNZ Head Coach Dayle Cheatley said. “He has a key role in the team sprint also and is thriving under our new coach, Anthony Peden. Olympic medallist Simon van Velthooven has finished third highest overall in World Cup rankings in the 1000m time trial, while Tom Scully and Patrick Bevin were third after their victory in the Madison yesterday. BikeNZ expect to announce an initial squad late this week for next month’s world championships, before awaiting final confirmation of quota spots from the UCI. Sprint: Eddie Dawkins 3, Matt Archibald 9. Keirin: Simon van Velthooven 5, Dawkins 6. 1000m time trial: Van Velthooven 3. Team Sprint: New Zealand 5. Team Pursuit: New Zealand 8. Madison: Scully, Patrick Bevin 3.